Flight FR-805 was travelling from Stansted in England to Ireland West Airport in Knock when the crew were forced to divert to Shannon because of highs winds in Knock. At the time, there were wind gusts of 45 knots (83km/h) reported at the Mayo airport. 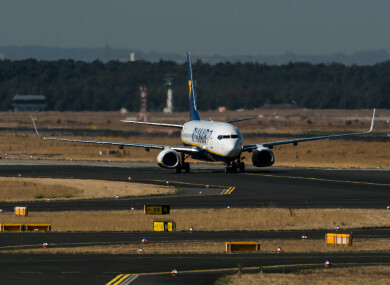 The Boeing 737-800 jet was rerouted to Shannon but was forced to abort its first landing after the crew reported wind shear on the approach. The crew performed a go-around and repositioned for a second attempt at landing. Winds at Shannon were gusting 58 knots (107km/h) at the time and the flight was unable to land on the second attempt. Ryanair said: “This flight from London Stansted to Knock diverted to Liverpool due to extreme winds at Knock (and other Irish airports). The aircraft landed normally in Liverpool and will return to Knock shortly. Ryanair sincerely apologised to all customers affected by this weather diversion, which was entirely beyond our control. The crew of another inbound flight reported wind shear on the approach to Shannon but the larger Boeing 757 aircraft was able to land safely. Meanwhile, management at the Cliffs of Moher in Co Clare have been forced to close the visitor centre because of the high winds. The public has been warned not to visit the Cliffs where conditions have been described as “extremely dangerous”. Clare County Council is warning the public to avoid exposed coastal locations today due to forecast stormy conditions. Email “Ryanair flight attempts two landings at Shannon before being diverted to Liverpool”. Feedback on “Ryanair flight attempts two landings at Shannon before being diverted to Liverpool”.